After a long, hot summer, you may be tired of seeing your energy bills spike from the increased load on your HVAC system. Thanks to the efforts of Iranian-American entrepreneur Hamid Farzaneh, homeowners will soon have access to a new “intelligent” ventilation technology that’s designed to make HVAC systems far more efficient. The Alea Air system uses an array of 11 sensors to offer selective control over each HVAC vent in a home. In contrast to smart thermostats like Nest, Alea Air optimizes HVAC efficiency with a series of vents that are networked together via a central Airhub. Over time, the sensors in these vents gather data about the temperature and air quality in the different rooms in a home. Based on the data they collect, the vents can open and close automatically to regulate airflow in each room. 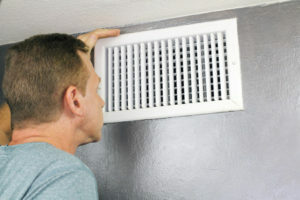 Furthermore, their simple modular design makes it easy for homeowners to install the vents without assistance from an HVAC technician. Just like smart thermostats, the Alea Air system can also be accessed via a smartphone app. Through this app, homeowners can choose to manually take control of the temperature in different rooms. In the future, Farzaneh plans to add more sensors to his Alea Air vents that will allow them to detect dust and pollen as well. Alea Air units will reportedly begin shipping in January 2019. Interested in finding new ways to make your home more energy efficient and reduce your utility bills? At First Choice Inspectors, we can conduct a home energy audit to identify hidden inefficiencies in your home’s thermal performance and offer suggestions for improvement. Just give us a call or contact us online today to learn more!